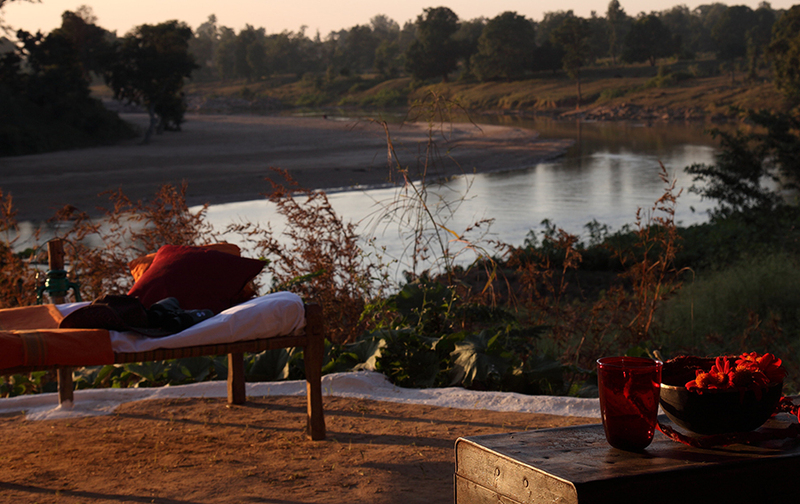 Four cottages cradle the banks of the river Banjar proof to be an exquisite piece of paradise. 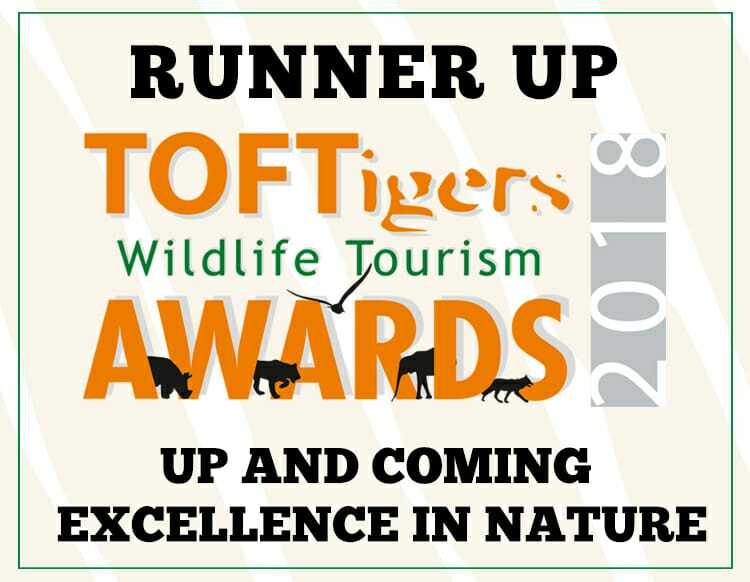 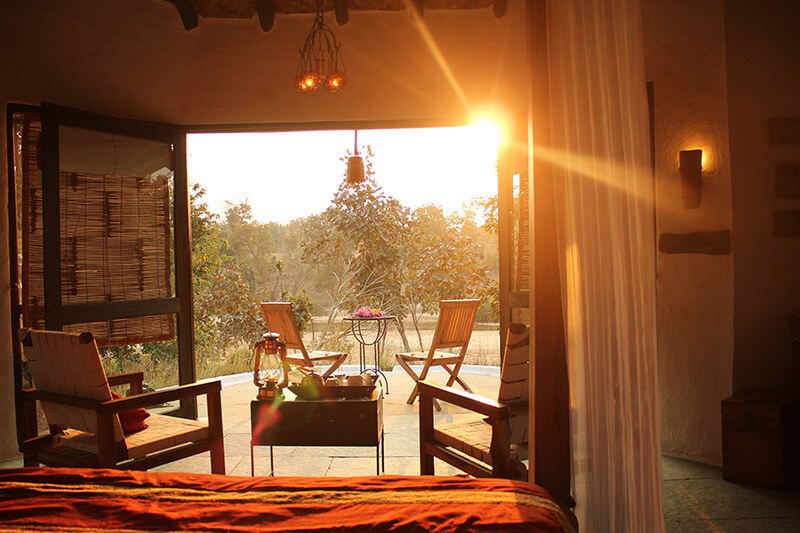 All our cottages boast their own courtyards and verandas, perfect spots to connect with nature and to lose your gaze into the sunset beyond the river. 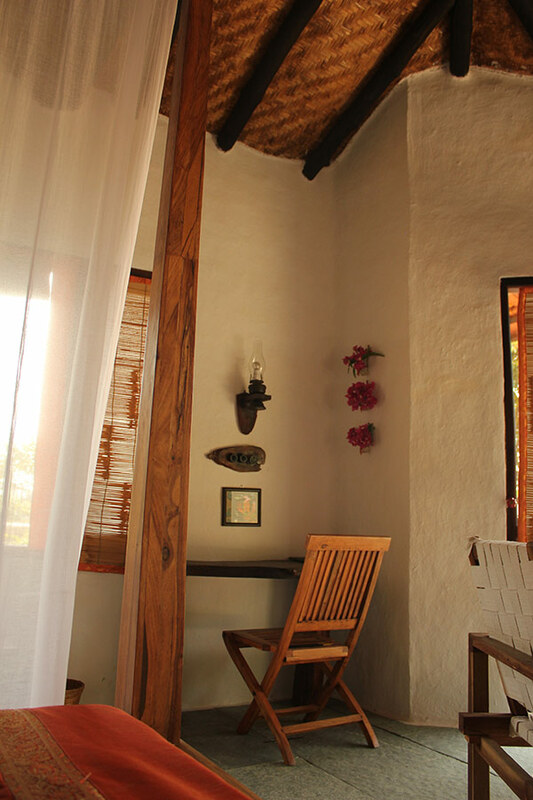 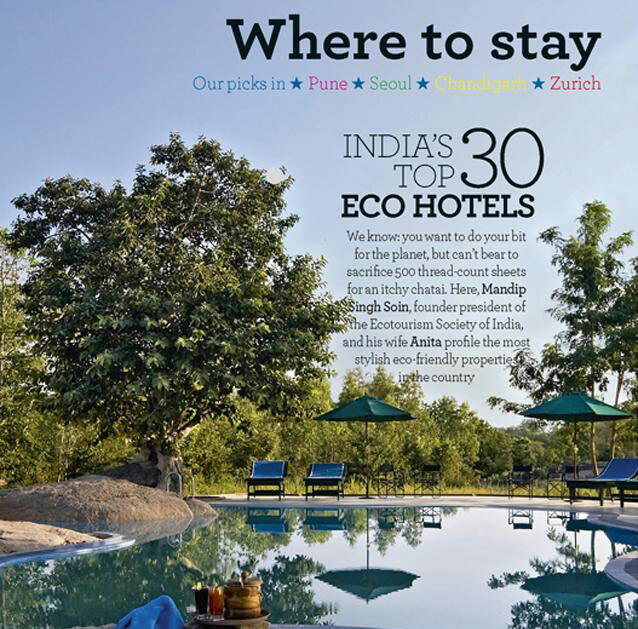 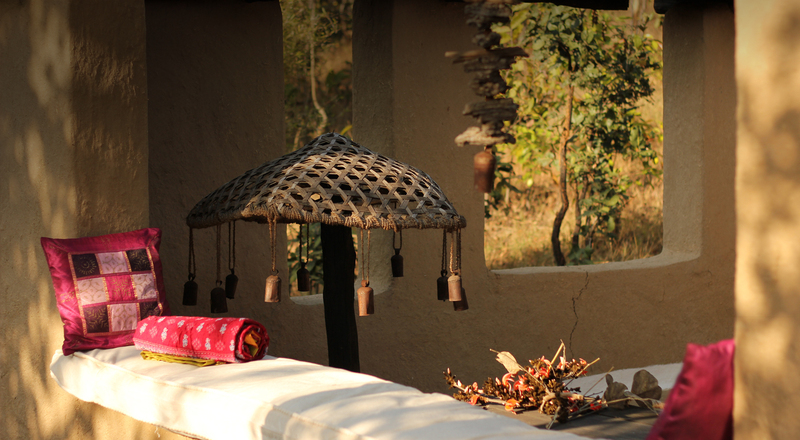 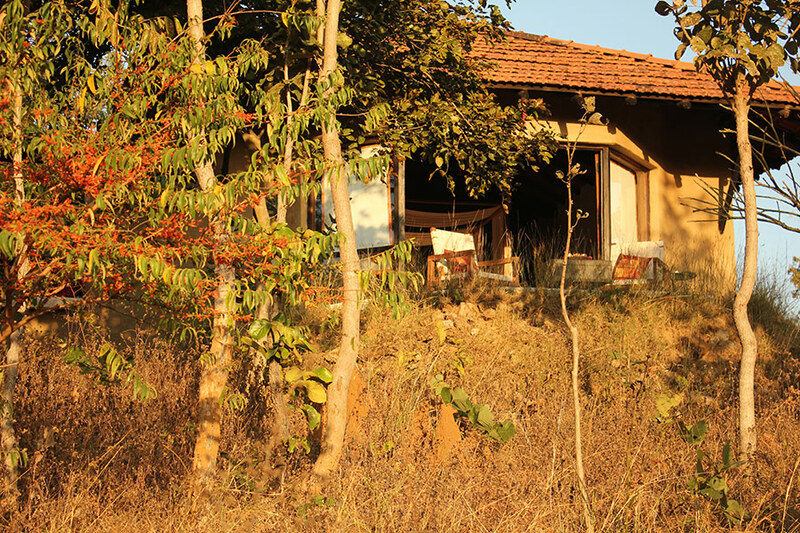 The cottages are built in the vernacular style of central India and blend seamlessly into the prestigious environment. 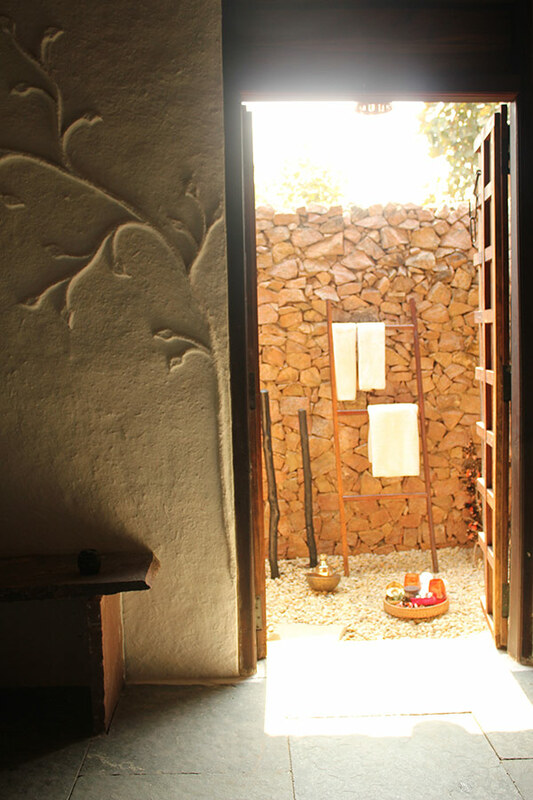 Rich stone floors and whitewashed walls, combined with handpicked furnitures, create a calming and awe-inspiring home away from home. 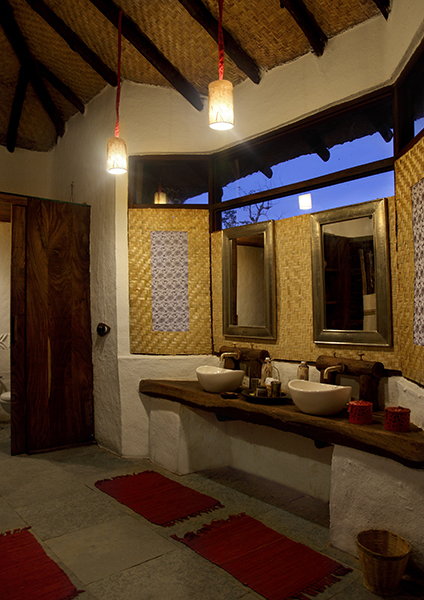 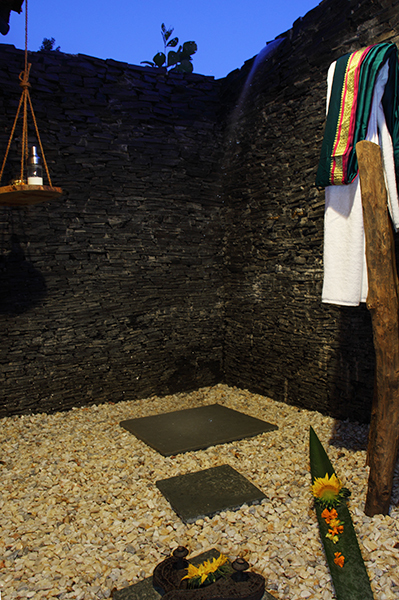 The outside shower, as well as the Sari woven inside shower, complement the natural approach and let the secrets of the forest unfold. 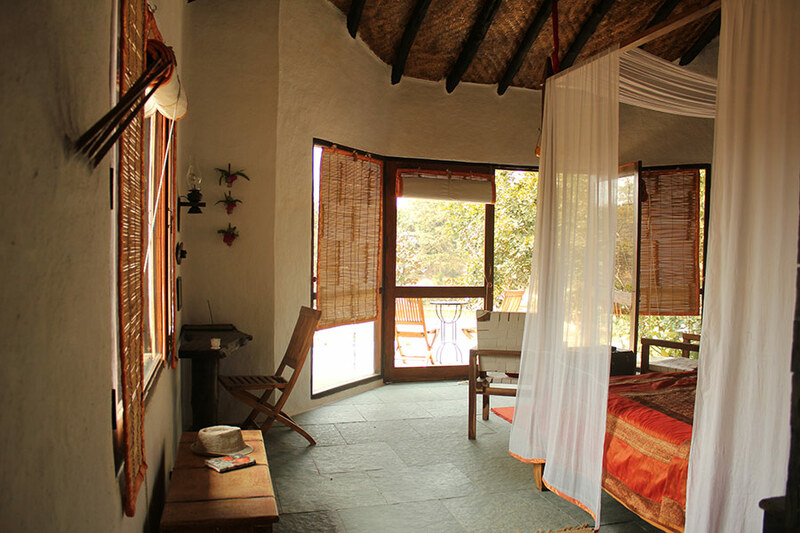 A Kingsize bed is the central focus of the cottages, with a view through the glass front over the river, inviting tranquility to nourish your senses. 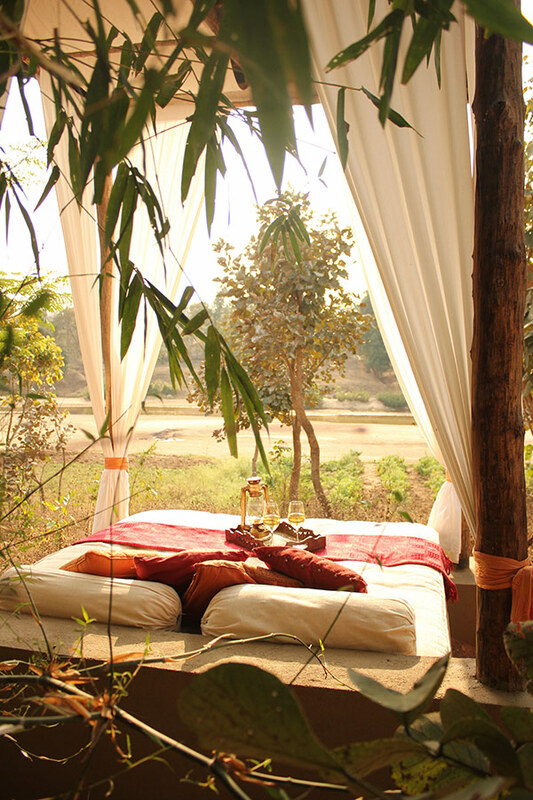 The outdoor daybed is an invitation to listen to the calls of the wilderness or spend the night under the starlit sky. 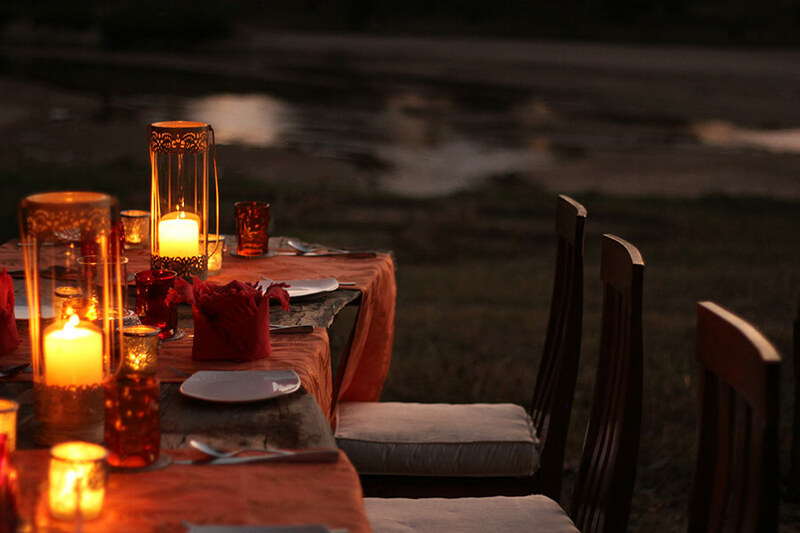 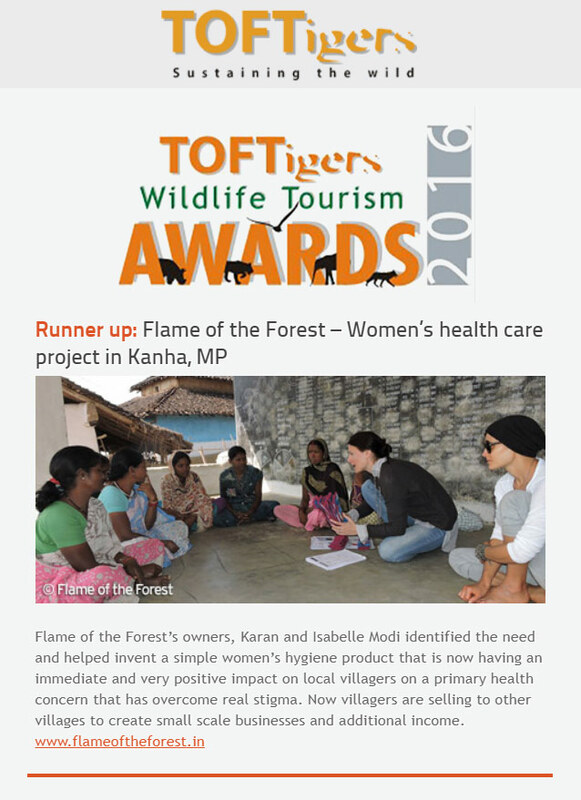 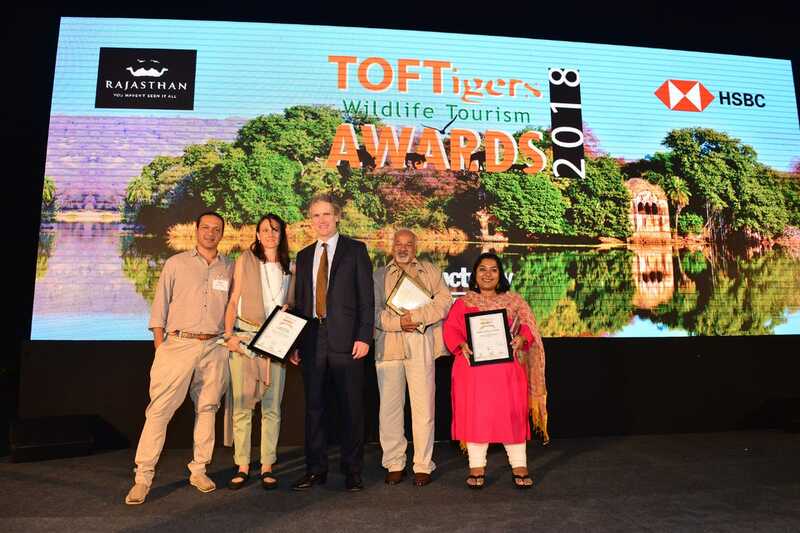 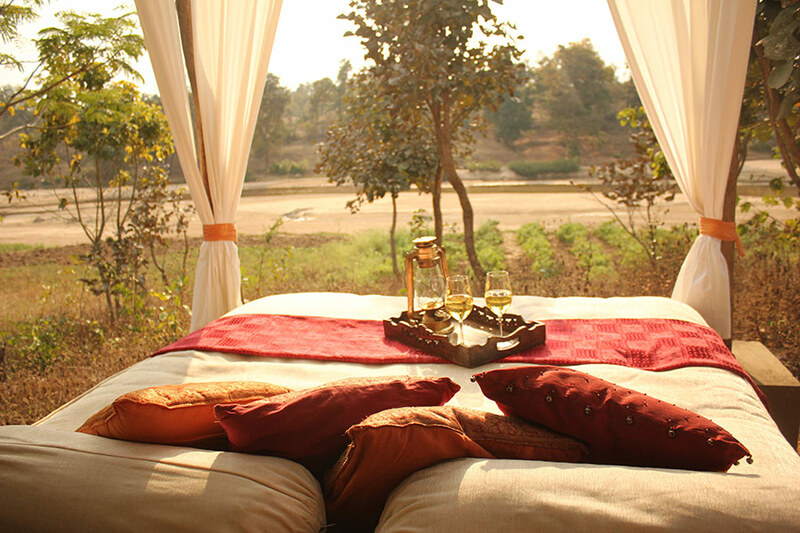 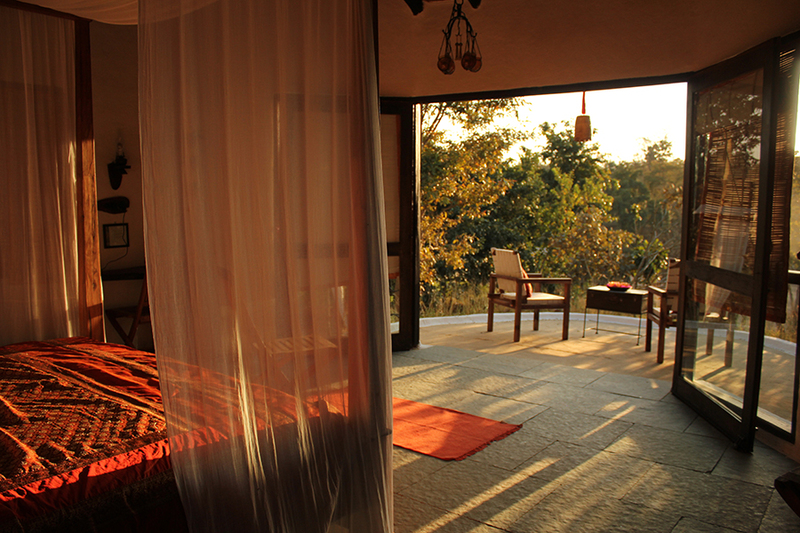 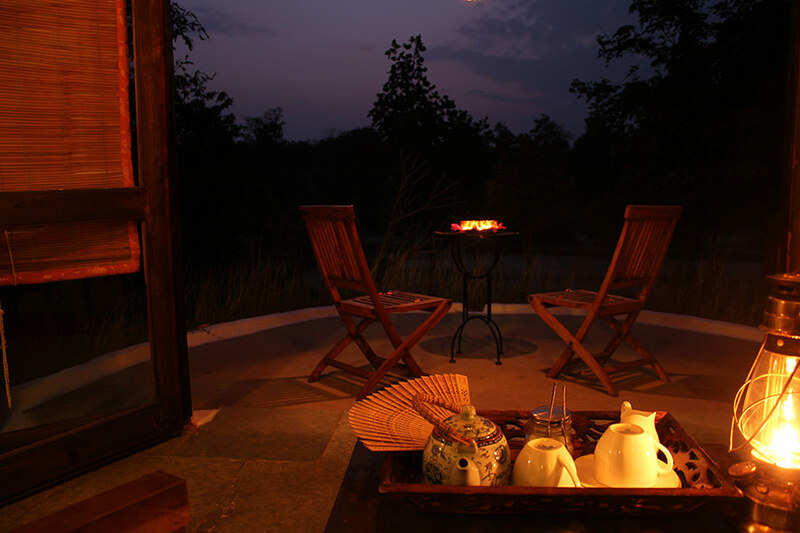 Romance and wilderness are the perfect combination for an outdoor vacation in the pristine wilderness of the Kanha National park.